Greece is bathed in ancient art and culture. Apart from stunning architecture, it is famous for its beaches and cuisine, and has made immense contribution in making the modern world. It is ranked among the prime destinations to visit in Europe, is huge in its diversity and has plenty to offer to tourists. Experience a beautiful journey in time while walking through sunny beaches, quaint whitewashed villages and ancient ruins. This ancient city is the capital of Greece. It is about 3000 years old. This place is the foundation of the western civilization. 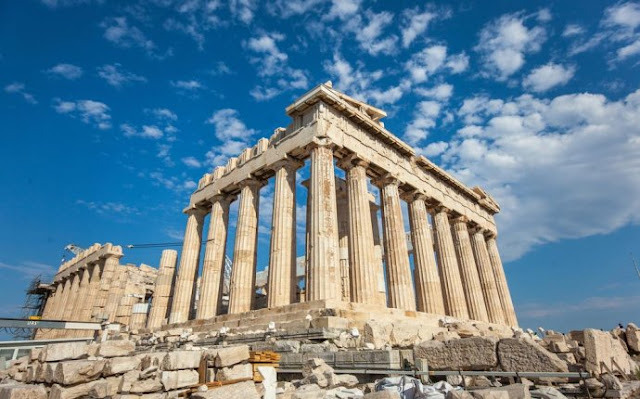 It is popular for its archaeological monuments and ruins like The Acropolis and the ancient Agora. Delphi is a UNESCO World Heritage site and comes second after Athens in most popular archaeological sites. The ancient Delphi theatre built on a hill offers visitors the view of the entire place and a beautiful landscape. Witness a glorious sunset from this point. 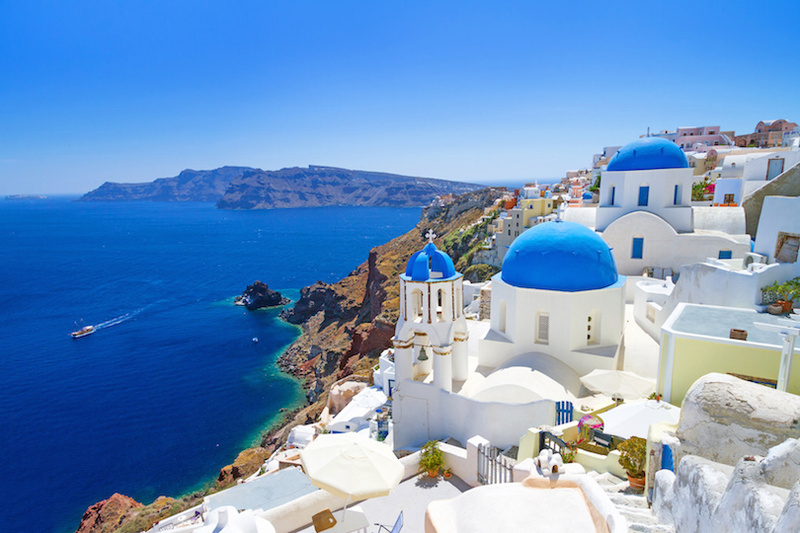 Most dramatic of all the Greek islands, Santorini is a cluster of many islands overlooking the turquoise sea. You can see a breathtaking view of the entire city. It is famous for its tiny white washed houses with blue domed roofs arranged in rows. Find yourself lost in its little alleys and streets, soaking up all the culture. Try local dishes. One of the most visited islands in Greece, it is also known as the best party destination. Truly, it is the most glamorous island of Greece. This place is best known for its vibrant nightlife and an dynamic way of life. Walk along its maze like streets, and see cute little white houses and colorful verandas. Meteora meaning suspended in the air is a collection of six monasteries located on the top of the rock pillars. It is a great sight with spectacular cliffs rising high into the sky. Spend a day or two here, and visit all the six monasteries. This place is a lesson in peace. Corfu is a famous yachting destination in Greece. You should definitely visit this place to experience its elegant Italianate architecture, its romantic pedestrians-only streets and exquisite old fashioned cafes. Rhodes is important because of its historical significance, great beaches and pretty coastal towns on the hillside. Its car free streets, abundant variety of flowers and lush pine forests are a joy to be explored on foot. Samaria George is a 10 mile long canyon situated on the island of Crete. It is top attraction for all the outdoor lovers. It measures 16 kms in length and at its narrowest point, only 4 mtrs wide. The walk takes 4 to 7 hours passing through forests of ancient cypresses and pines. Myrtos beach is a heaven on earth owing to its mystical colors of the water. The blue and turquoise colors of the sea contrast sharply with the sunlit white of the smooth pebbles of the beach. The tall cliffs behind Myrtos beach add to its beauty. 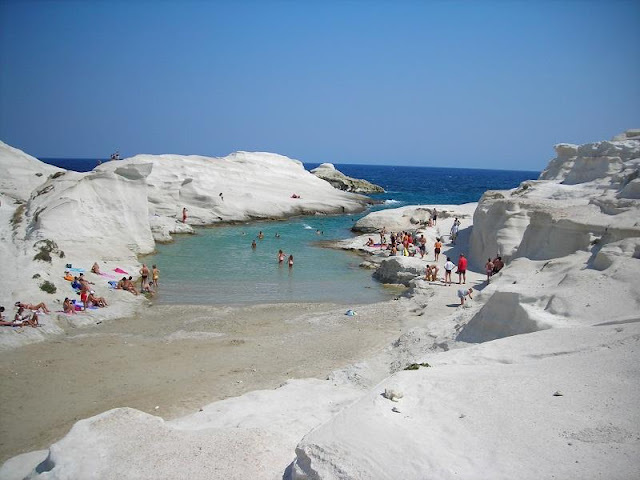 It has been voted 12 times as the best beach in Greece. This place is a must visit for all those who love to swim. A popular weekend destination, this car-free town is filled with neo-classical mansions and churches and overlooked by the 18th-century Palamidi Fortress. Nearby attractions include Tiryns, Epidaurus Theater, and Ancient Corinth. Any talk about Greece is incomplete without a special mention of its delectable cuisine. Mostly composed of a healthy, characteristic Mediterranean diet, Greece is also known for its different kinds of cheese. Try traditional fish recipes and pasta with lobster and Turkish herbs. Greece is the ultimate inspiration for all those who love to travel. Visit Greece, and feel your creative blocks melting away. We are sure you fill find your muse here!